Meets or exceeds most load requirements. 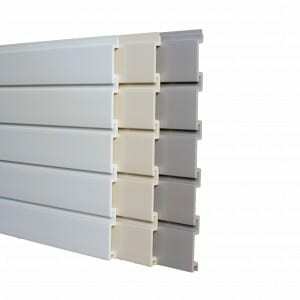 Panel designed to be cost effective yet strong and durable. -Simple Installation, install with color matched screws. 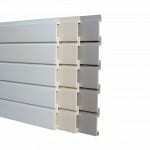 15″ Standard Duty Panels will not work with Install Strips, Hang-Ups, or Dowels. 5 square ft per panel/ 30 square ft per carton. 4′ panels can be shipped Fedex ground. 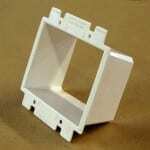 For panel samples, visit the Order Literature tab. SKU: SW-4SD. Categories: storeWALL Wall System, Panels, Molding, Install Hardware.